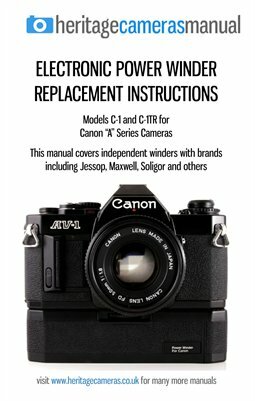 This section includes many instruction manuals for cameras and accessories including modern and classic models, and unless stated all are the manufacturer's original printed version and not a copy or reproduction. Look out for more instruction manuals and other literature coming soon. We have hundreds more manuals in stock, so if you have a particular requirement then please click here to contact us.